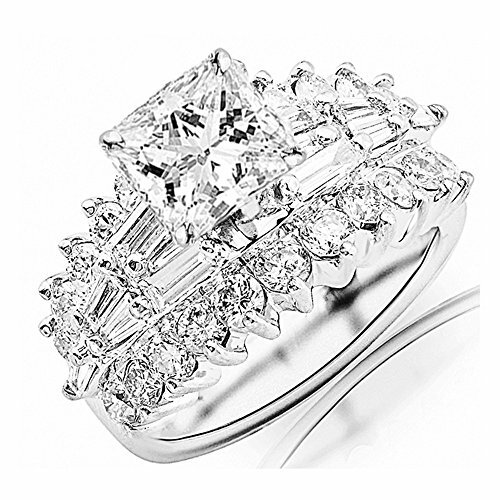 Sure to sweep her off her feet again, our modern wedding and engagement ring set is a stunner. 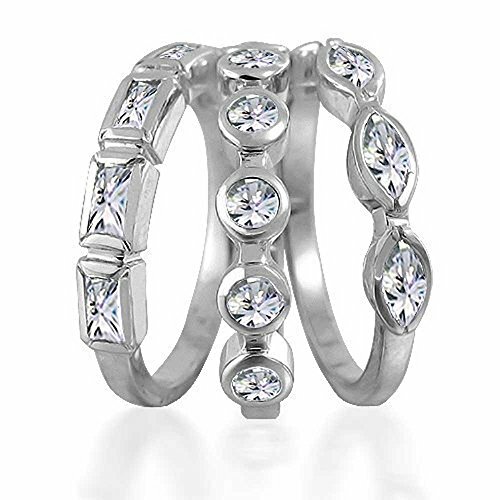 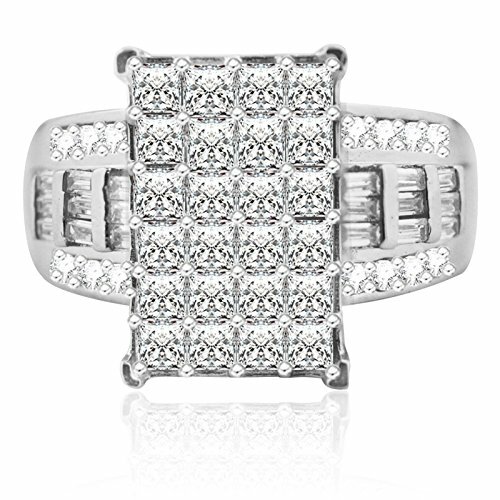 The rhodium plating on our cubic zirconia rings for women provides fantastic shine and prevents tarnish. 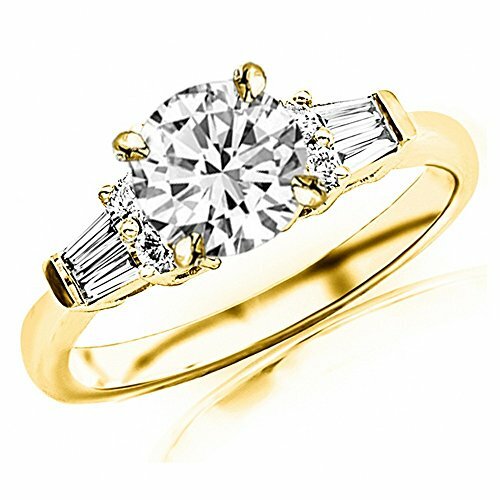 Vintage style rings will have her looking fabulous as she says I DO. 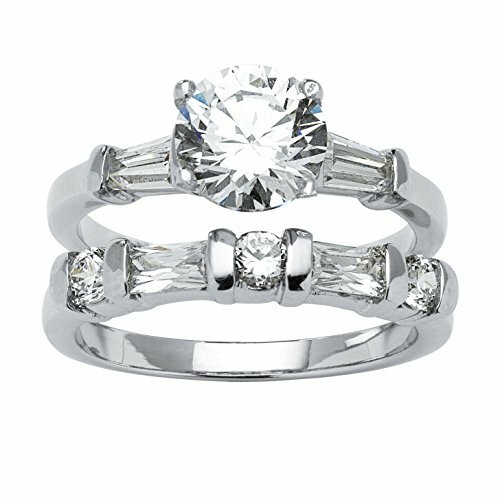 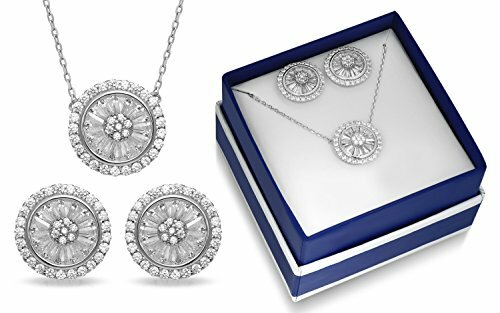 Remember, CZ wedding ring sets are thoughtful gifts of April birthstone jewelry. 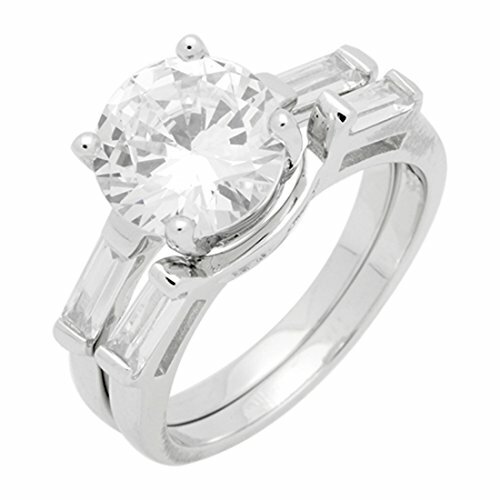 Stunning Princess Cut Wedding Ring in 3 in 1 style Sterling Silver and 14mm Wide Center top. 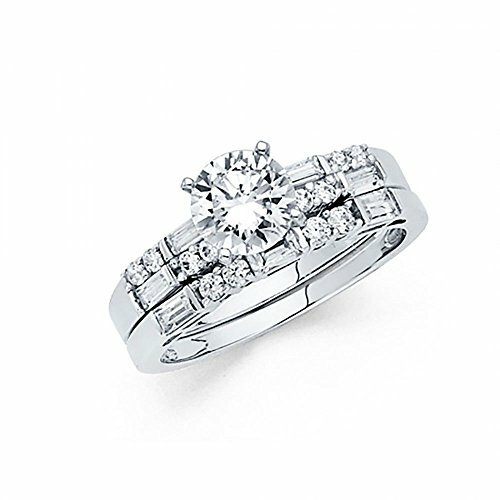 High quality Cubic Zircons, ring is amazon wow factory. 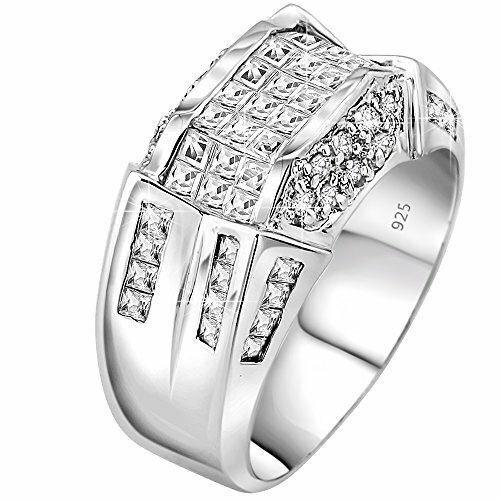 Beautiful ring box is included.